This is a two-part series on nymphing in low water conditions. A few years ago, Wisconsin changed the opener of the pre-season catch and release season from the first Saturday in March to the first Saturday in January. If you live in the upper Midwest, you know that January is usually when we experience a stretch of sub-zero weather. You may be thinking, is this guy nuts (That’s a separate discussion we can have over a beer or two!)? However, in this case, we were experiencing a heat wave with temperatures approaching freezing and bright sunshine. The radiant energy in the sunshine is enough to minimize the ice in the guides and the reel, so I decided to go fly fishing. 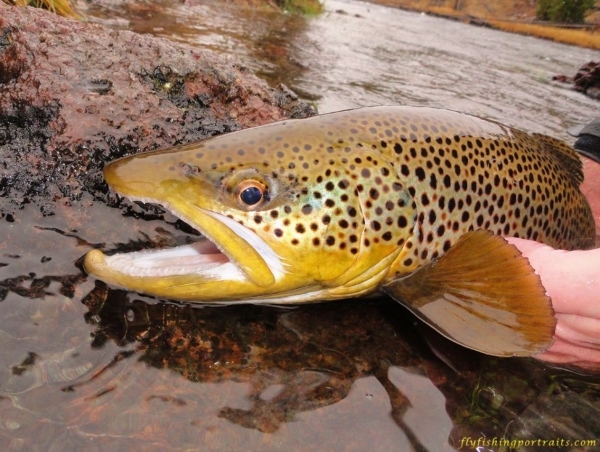 This entry was posted in Fly Fishing Tips, Joe Dellaria, Learning From The River, Our Regular Contributors and tagged fly fishing, fly fishing advice, fly fishing tips, trout fishing on April 16, 2019 by admin. Larger streamers, wooly buggers, and girdle bugs can provide exciting fishing. There’s nothing like the jolt of a large fish crushing a fly on the retrieve. However, as I have gotten older, my casting shoulder has become increasingly less enamored with throwing these larger flies for hours on end. Then a couple of years ago I caught 29 fish that were 15 inches or bigger. That was my best year ever for larger fish. Over 80% of the fish were caught on a nymph including the 22 incher! The nymphs were sizes #16-#12. An additional 11% were caught on wooly buggers or girdle bugs sizes #10-#6. The remaining 8% came on #14 parachute Adams and #10 hoppers. I also fished larger streamers, wooly bugger, and girdle bugs over the course of the season, but none of my largest fish took any of those offerings. 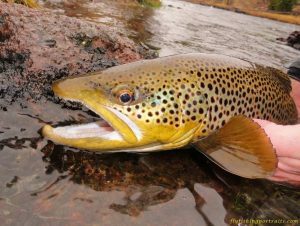 This entry was posted in Fly Fishing Gear, Joe Dellaria, Learning From The River, Our Regular Contributors and tagged big streamers, fly fishing, fly fishing advice, trout fishing on January 17, 2019 by Joe Dellaria. I had been trying to get my friend to try trout fishing for several months. To protect the innocent (or guilty, as the case may be), we will call him Harold. He was close to saying yes, but didn’t want to invest in fly fishing equipment and felt like fly casting was too complex. So, I suggested he could spin cast and watch me fly fish while we alternated fishing up the river. Harold thought this sounded reasonable and agreed to go. A couple of days later I picked him up at his house. 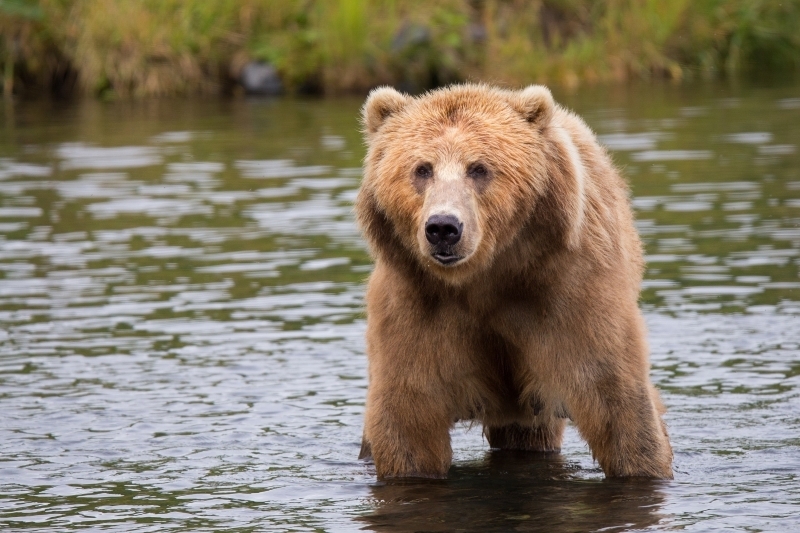 We had barely made it out of his driveway when he started asking me if there were any bear on the river. 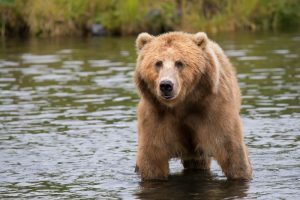 This entry was posted in Fly Fishing Life, Joe Dellaria, Learning From The River, Our Regular Contributors and tagged bear, fly fishing, fly fishing life, trout fishing on December 12, 2018 by Joe Dellaria.